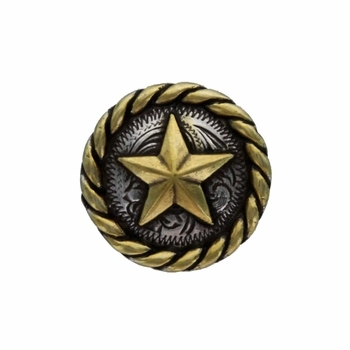 Sterling Silver and Gold Plated Round Rope Edge Star Western Engraved Concho. 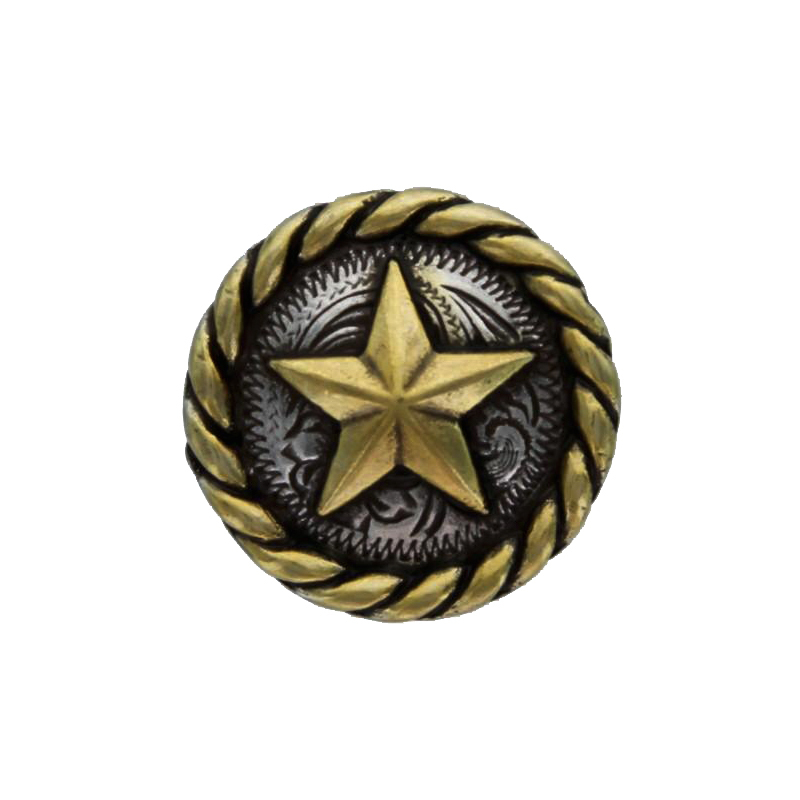 Western Hand Engraved Masters used to cast this Screwback Hand Polished Antique Silver Finish Concho. No sales tax unless shipped to California.